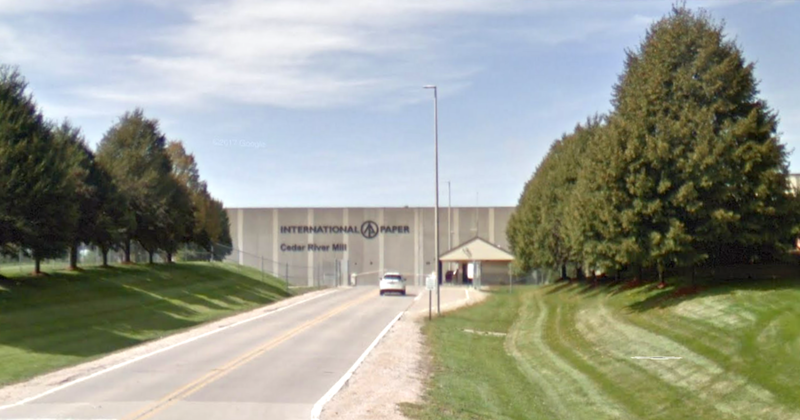 Firefighters responded to the International Paper plant in Cedar Rapids, IA on Sunday afternoon after smoke was observed in one of the site’s paper milling process stations, according to a press release issued by the Cedar Rapids Fire Department. Called to the site at about 12:20 p.m., fire crews discovered flames inside the facility near equipment. Several area fire departments provided mutual aid during the incident. “The main body of the fire was quickly brought under control and then a more lengthy process of removing smoldering paper product was completed over about a three hour period,” the Cedar Rapids Fire Department said in the release. International Paper’s plant is continuing to operate normally. No injuries were logged. The fire was ruled unintentional, but cause of the incident remains under investigation. Opened in 1995, the International Paper facility in Cedar Rapids is the biggest 100% recycled paper mill outside of China, according to information on the company’s website. The site produces containerboard used in boxes and packaging.